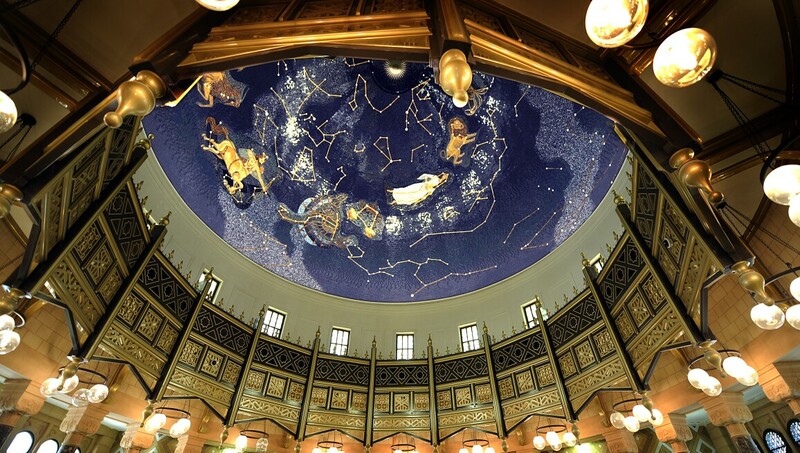 The Sharjah Museum of Islamic Civilization is a museum in Sharjah, United Arab Emirates. The museum opened in 2008 and covers Islamic culture, with more than 5,000 artifacts from the Islamic world. Objects include calligraphy, carvings, ceramics, coins, glass, manuscripts, metalwork, and scientific instruments. The museum is located on the Corniche Street in the al-Majjarah area, on the opposite side of the street from Sharjah Creek. It is very visible because of its large size and golden dome. It was originally a traditional souq (indoor market). This state-of-the art cultural structure has a treasure of more than five thousand exquisite Islamic relics which has been collected globally and displayed in seven spacious galleries. The museum has a mission to reach maximum number of national and international visitors through the display and interpretation of Islamic relics and research and through the development of the collection.